Review Fix chats with “Prison” director Renny Harlin, who discusses the re-release of the film on Blu-Ray and DVD, some 25 years after its original release via Shout Factory. The director of iconic pop culture classics “Cliffhanger,” “The Long Kiss Goodnight” and “Die Hard 2,” “Prison” was the film that got Harlin’s filmmaking career in Hollywood going. Review Fix: How does it feel to see this film on Blu-Ray and DVD after so long? 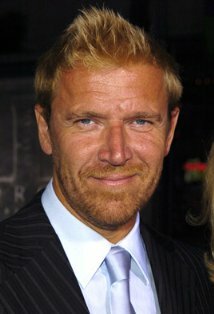 Renny Harlin: I was happy to learn that “Prison” was being released on Blu-Ray/DVD after so many years. It has developed quite a cult following and I’ve gotten many E-mails over the years from people who were trying to find it on DVD and were not able to. Review Fix: The film has always had a cult following. Did they play a part in getting the film released on the new formats? Harlin: I don’t know specifically why “Prison” was chosen to be released on Blu-ray/DVD now, but I’m happy about it, because it never got a proper theatrical release when it came out 25 years ago. I think there is a real charm to these horror films that were made 20 plus years ago, that keep the horror fans coming back for more. back then we didn’t have all the bells and whistles at our fingers tips and CGI hadn’t been invented yet, so we had to do all the gags practically. I think horror fans realize that the older horror films were made a different way, and they appreciate them that much more because of it. Review Fix: How do you think the film has aged? Will newer viewers enjoy it? Harlin: Yes, I think that new viewers will still enjoy prison, for the same reasons I just mentioned. Horror films used to be made a different way, with literally rubber bands and trickery. Now you can accomplish so many things in post, and less is being done in-camera. I think true die-hard horror fans will always appreciate where horror started, even if they are still fans of what horror films have evolved to today. Review Fix: How important was this film in your development as a director? Harlin: This film was very important in developing me as a director for many reasons. This was my first American film, and in the Hollywood system, no less. So, I learned a lot about the process from development to delivery. It also taught me about Hollywood disappointments, because as you know, it never got a proper theatrical release, so that was a huge blow after you spend so much blood, sweat and tears making it, you want it to see the light of a projector eventually. But it is all part of the journey. I’m proud of this film. I learned a lot. It’s become a beloved cult classic and it’s available now if people want to see it, they have access to it. Also, it was only from doing this film that led to me directing “Nightmare on Elm Street 4: The Dream Master,” which became a huge hit and set my career in motion. Review Fix: What were the cast and crew like during filming? Any interesting stories? Harlin: The cast and crew on this film were fantastic. We were shooting in the old Wyoming state penitentiary and while the surroundings were bleak, we had a great time making this film. I learned a lot from the crew, because again, it was my first Hollywood film and the Hollywood system was quite different from what I was used to as a filmmaker from Finland. First off, the crew was about twice the size of what we would have in Finland. So, that took some getting used to. Also, in Finland when the director is ready to start the scene, he/she says “please” and when the scene is over he/she says “thank you”. I thought that directors only said “action” and “cut” in the movies. So, someone on the set approached me about a week into shooting and said, “It would really help us, if you said “action” and “cut” when doing a scene, so we know when to stop and start. Review Fix: What was your favorite part of the film? Harlin: I think my favorite part of the film would have to be the special effects that we were able to achieve with trickery and very few resources. We used glue on shoes in the fire to make it appear that the shoes were melting. Then we shot telephone cable backwards to make it appear as though barbwire was wrapping around someone. At the end of the day, I think the special effects and scares were very effective for the time, and we literally accomplished everything with what felt like Popsicle sticks and bubble gum. Review Fix: How do you think the film stacks up with horror films today? Harlin: I think it’s impossible to compare films from the ‘80s to films today in any genre. Filmmaking has soared to new heights with advanced technology in post, VFX and digital shooting. But of course we can still appreciate these films for what they are, and how they impacted the audience at that time. This was just a little horror film, with a fantastic cast; made on a shoestring budget, with little-to-no resources… and we’re still talking about it today, 25+ years later. So, I think it measures up against horror films from this same time period, but given the advancements today, obviously the scares and special effects are dated. But that said, i think it adds to the charm of these older horror films. Review Fix: For dedicated fans of the film that own a copy on VHS, what are the added bonuses on the Blu-ray and DVD that’ll entice them to repurchase it? Harlin: Obviously the Blu-ray experience is better than the quality of VHS, so there’s always the quality difference from past experiences of viewing this on VHS. But also, I did a commentary for the new release, so I tell a lot of stories about the making-of during the commentary. Also, I believe they included a photo gallery and other fun extras. So, if you are a fan of the movie, it will definitely be something that you want to own. Review Fix: What was it like to work with Lane Smith and a young Viggo Mortensen? Harlin: It was great to work with both, Lane Smith and Viggo Mortensen. At first mention I wasn’t convinced that Lane Smith was right for the role of the warden, but after meeting with him and learning his passion for this part, he really became the character. He was fantastic in the role. Also, I met with about 80 young Hollywood actors for Viggo’s part. I couldn’t find thee one. I was looking for a young James Dean. Then, Viggo Mortensen walked into the room. I knew almost instantly that he was the one. There was such a charisma about him. I really thought that this film would make him a household name. Unfortunately, since the film wasn’t really released theatrically, it took Viggo a little longer to get there, but he still got there eventually. Review Fix: Considering all you’ve done after this film, where do you want this film to stand in your legacy? Harlin: I’m very proud of this film. Ultimately, it started my career and I learned a lot through the making of this movie, and I’ve learned a lot since then too. Of course there are funny outdated hairstyles in the movie, but that’s to be expected. We’ll likely look back at movies from 2013 and laugh at the styles too, 20 years from now. But at the end of the day, I made a film that affected the audience and made them feel scared, or made them laugh, or made them anxious, and that’s what I’m trying to do as a filmmaker. I want to evoke emotion from the audience. So, I’m happy to have this film on my resume.